Are You Prepared for Water Damage? Imagine a storm event which causes your family home in Pittsburgh to severely flood. You may find yourself having to temporarily leave your family home for a short period of time. Before SERVPRO of West Hills is called in to clean up the aftermath of this Storm Event, because we want to help, we recommend that families prepare in advance a mini kit or box or bag in the event they may have to leave the family home for a few days. Remember a few doses of necessary medications and foods, some water, mini first aid kit and favorite home items like books and toys. Make a list of emergency contacts on an index card, and have it laminated in the event water would damage all your electronic devices, which store your contact information. This is a frank discussion about proper attic and roof ventilation in order to prevent the onset of mold issues and shingle warranties in your properties. All modern construction should be code inspected to ensure that the proper ventilation was done at the time of construction, but, sadly, often doesn't due to inspections missing these critical observations. Older homes should be evaluated to ensure that proper ventilation is in place and working sufficiently, and the ventilation system(s) should be upgraded whenever there is going to be a probability of having new roof installations. Remember too, to pay attention to the chimney. Flashing can become loose over time, and there may be less obvious leaks related to the chimney. Mold must eat, and it feeds on moisture. Creating an inventory is a great way to plan for fire damage. Almost everyone these days has a smart phone. A smart phone can come in handy when it comes to fire damage. Go through your home and take video inventory of all your valuable items. This will help you realize what is lost after fire damage. SERVPRO of North Washington Hills can assist with fire damage restoration services after both commercial or residential fire damage. We pride ourselves on being faster to any size disaster. SERVPRO is open 365 days a year including weekends and holidays. To learn more about our fire damage restoration services, click here. To check out some fire damage tips for what and what not to do, click here. We cannot forecast the number of major storm events, but when storm damage happens, please keep it green with SERVPRO WEST HILLS. The National Oceanic & Atmospheric Assoc. reported that in 2016, flooding alone resulted in an estimated collective $99 billion dollars in loss. Also, remember to review your homeowner's insurance policy to be certain that the policy covers sewer back up. Many homeowners insurance policies DO NOT cover this. You may add $5,000 or $10,000 worth of sewer back up coverage, by adding an ENDORSEMENT to the existing homeowners insurance policy, if the coverage is currently not available on your existing policy. SERVPRO WEST HILLS is here to help when storm events result in disaster for your home or business. WATER AND FIRE: IN THE EVENT OF LOSS, WHAT ABOUT YOUR VALUABLES? WATER and FIRE LOSS: When these type of disasters occur, contents in your home can be adversely effected. You can certainly look to rely on the contents coverage on your homeowners policy, but more than likely, you'll find yourself disappointed to learn that there are special sublimits for certain categories of valuables, including but not limited to jewelry, fine art, silverware, and other collectibles. A separate valuable articles rider/endorsement can adequately protect these items. Additionally, consider taking time out of your busy week to either video and/or photograph rooms and valuable items. Remember to print out photos, and secure them in an alternate location in the event of a water or fire loss (like a safety deposit box, or your Mother's home). In the blink of an eye, our lives can change. None of us want to experience loss due to fire, water, or storm events. However, it is important to be prepared, and always think about safety first. Family members should have an agreed upon meeting spot if they would have to exit the home in the event of a sudden emergency. Also, an escape ladder should be positioned near a window inside the home. Often, families have pets, and let us not forget the furry ones of our family. Is there a "get away bag" near an exit with a few cans of food for the furry ones, some water, and one or two of their favorite toys, and some of their medications packed. Also, are there friends or family that would take the pets in if you and your family were to be displaced as a result of a fire, water, or storm event loss at your place of living. Can Employees Come To Work During Mold Removal? Building or business owners may want to continue operating during mold remediation. It can be possible to do so depending on the containment methods in use and how much of a structure will be affected by mold removal. Owners should consider the following factors to provide employees with a safe working environment during remediation. If employees usually work in an area that is now contained, it will be off-limits during mold removal. These individuals should be relocated until remediation is complete. Even if a work area is not within a containment zone, it can still be helpful to relocate staff to another part a structure or a temporary location. As long as work can continue, a business owner should not need to make an interruption insurance claim. 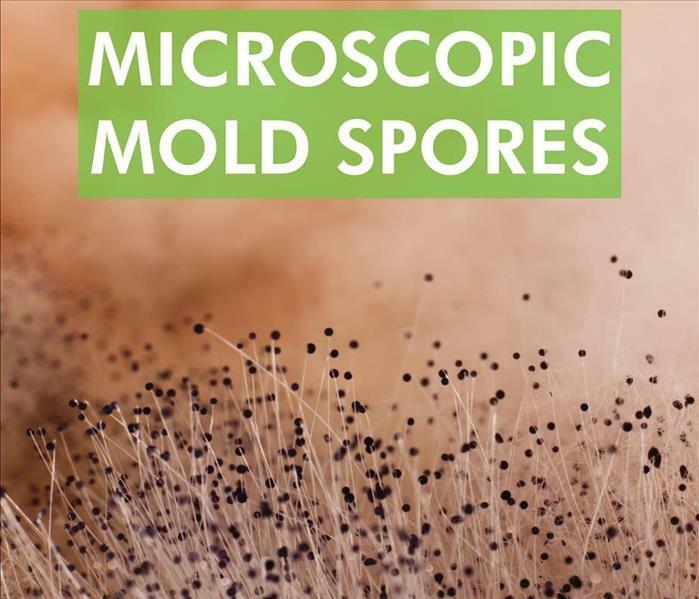 Air conditioning, heating and fans can spread spores throughout a structure. Even if limited or full containment is in use with negative air pressure, an HVAC system may still spread preexisting spores throughout a structure. Climate control and ventilation should not be used until the main unit and ductwork have been cleaned. Be sure to inform employees about the remediation process. Notifications about the mold removal schedule and safety measures can help to maintain productivity levels during this time. Building and business owners can trust that removal will be completed thoroughly and quickly by certified mold remediation professionals in Edgeworth, PA.
As an insurance agent or adjuster, you work to make sure clients are getting the compensation they deserve when disaster strikes their commercial property. Your claim services, however, depend on the efficient response of other entities. When you work with a reliable damage mitigation company, you can improve the speed at which you process your claims. It's best to choose a company in Moon, PA, that not only cleans up the mess the disaster left behind but also restores your client's building to its former state. A company that includes both remediation and restoration in one fluid process will likely work well as a preferred vendor and help you streamline your claim services. Starting mitigation as soon as possible can help minimize the damage to your client's property, thus lowering the cost of repairing it. When you call the 24-hour help line, local SERVPRO agents spring into action. Within a few hours, technicians can be on-site, assessing your client's property to determine what kind of mitigation is needed so that you can get the claim process started. With years of experience and skills training backing them up, the experts who take on your client's cleanup job can provide detailed reports of their progress. They remove unsalvageable materials, make sure the building is clean and dry to prevent secondary damage and rebuild the affected area so that it is functional again. Many insurance companies choose SERVPRO as their preferred vendor because they know they can rely on the company's reputation for quality service. You can improve your claim services by working with a trustworthy restoration company. You can depend on reliable scope, response and service with a certified remediation team. Does Water Damage Ruin Carpet? A pipe break, leak or flood can ruin carpeting. Even if an incident involves clean water, prompt drying is necessary to prevent mold growth. Homeowners should consider the following factors when weighing the options of restoring or replacing flooring. Carpeting saturated with Category One water from a pipe break can be dried, but it is important to mitigate damage quickly to prevent mold growth. Porous flooring exposed to contaminated water may run a higher risk of developing mold. Depending on the duration of time since the damage occurred, it may be possible to clean carpeting, or porous flooring material may need to be torn up, disposed of and replaced. Carpet that has remained waterlogged for longer than 24 hours runs a higher risk of supporting mold growth. Moisture can penetrate to the underlayment and subfloor where hidden mold may multiply. It is important to dry every layer of flooring. A service that specializes in cleaning up residential water damage can advise homeowners about whether flooring should be restored or replaced. Trained professionals will factor in the type of damage and condition of flooring. It is important to allow the affected area to dry completely before replacing flooring. Water damage caused by a pipe break can simply be dried if homeowners act quickly. Replacing carpeting exposed to contaminated water may be safer in the long run. Mold can result in costly damage to a residence. Seek a recommendation from a damage mitigation and restoration company in Morgan, PA.
Why Does Mold Grow on Food? Food is one of the most common places that mold can be found. Most people have seen mold on bread or food stored in the refrigerator for too long. The most common types of bread mold include cladosporium, penicillium and rhizopus stolonifera. Find out why these and many other types of mold grow on food. Exposure to spores usually does not immediately cause fungus growth. Spores only settle and multiply in a suitable environment. Practically every type of food is a dense source of nutriment. Moisture and a food source are the two requirements for mold growth. The starches in bread break down into sugars, which sustain bread mold. Limited air circulation during storage at room temperature or in a refrigerator is also favorable for fungi. Even if fridge mold starts growing on one item, containment and cleanliness can limit cross-contamination. Throw away food as soon as mold growth becomes apparent. Some preserved foods contain mold that is safe to eat or which should be removed prior to consumption. Mold grows on food for the same reasons that people eat food. Bread and other items are sources of sustenance. Bread mold usually does not indicate a major problem. 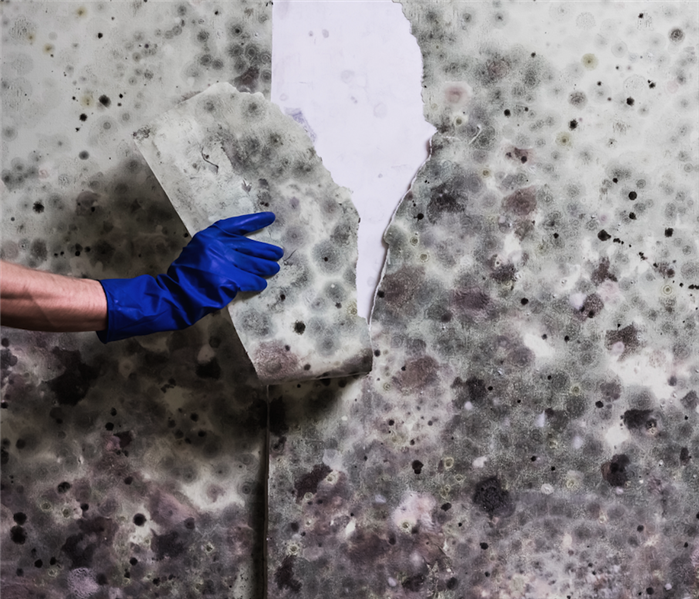 If homeowners smell a musty odor or see signs of mold growth on building materials or contents, they should schedule a consultation with mold remediation specialists in Oakdale, PA.
4/18/2019 - Are You Prepared for Water Damage? 4/16/2019 - WATER AND FIRE: IN THE EVENT OF LOSS, WHAT ABOUT YOUR VALUABLES? 4/11/2019 - Can Employees Come To Work During Mold Removal? 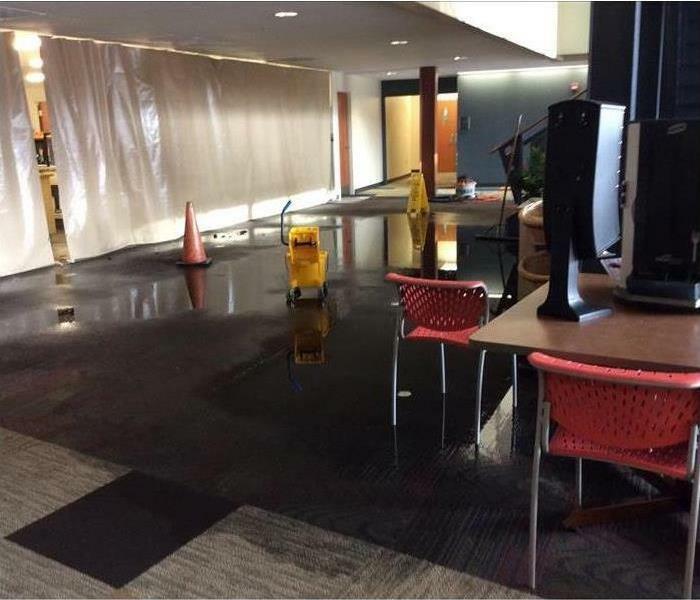 3/14/2019 - Does Water Damage Ruin Carpet? 3/6/2019 - Why Does Mold Grow on Food?